ONLY 6 UNITS WITH THIS VIEW...over 100 feet of the wrap around balconies on this west end unit provide front row seats for autumn sunrises and sunsets! Lovingly furnished by local design team includes custom room darkening window treatments for lazy coastal mornings. 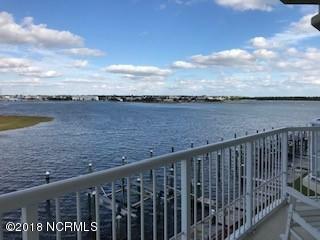 Enjoy the views of Morgans Creek, Taylors Creek and the Intracoastal Waterway from right outside the living room and master bedroom. 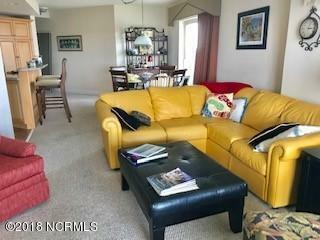 3 bedrooms with 3 full baths, 2 of which are en suite so bring family and friends. Open kitchen with dining bar invites cozy conversations during meal preparations and the much desired open living dining concept makes for lots of fun memory making moments. 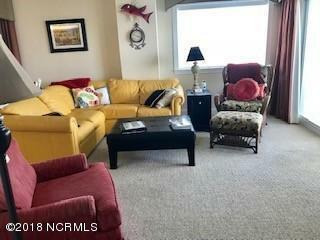 Close to downtown Morehead and Beaufort and all the Crystal Coast has to offer. Make this one your own to enjoy for years to come! 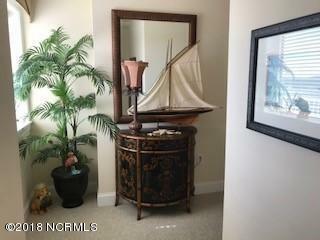 Listing provided courtesy of Betty H Bissett of Coldwell Banker Spectrum Properties.